Model 1011 Table Base: 20" square x 40" high. 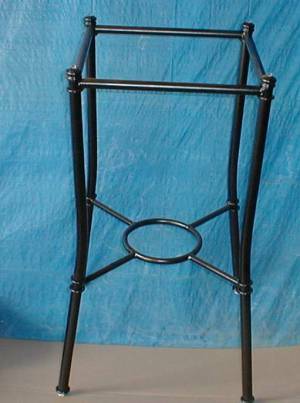 This pub table base was designed to blend with any of our straight or swivel chairs or stools. The base will support a 24", 28, 30" 36" 42" or 48" round or square glass. Available in all stock colors.